Our award-winning corporate team has continued to strengthen its offer to clients with the addition of two new solicitors. Claire Willcock and Sara Worsick have joined the Newcastle-based law firm during a period of growth for the successful corporate team, which was again named as the top dealmaker in the region earlier this year and also recently named Corporate and Commercial Regional Law Firm of the Year at the Legal 500 UK awards. Sara and Claire will assist the team on a wide range of projects, including corporate mergers, acquisitions, sales and fundraisings, as well as advising clients on general corporate matters, such as the incorporation of companies, director and shareholder rights, board meetings, shareholders’ agreements and drafting company constitutions. The University of Manchester graduate said: “Muckle has a great reputation, both for quality of work and culturally, so I’m delighted to be welcomed to the team. “I’m really looking forward to increasing my knowledge, becoming involved in high level transactions and working with a range of clients in different industries. Sara, who is originally from Cumbria, studied law at Newcastle University and went on to do her Legal Practice Course at Northumbria University. Before joining us, she spent a number of years at a Carlisle-based law firm. “During my time at Northumbria University I was mentored by someone who worked at Muckle, which allowed me to learn a lot about the firm, and I knew from early on that it would be an excellent place to work. “I have learned so much already since joining in September and I’ve been able to get involved in a great variety of different projects. The team is absolutely wonderful, really welcoming and I already feel part of the family. Andrew Davison, Head of the corporate team, said: “As we continue to lead the way regionally as the number one dealmaker and business adviser, it’s important for us to grow our team of corporate experts. 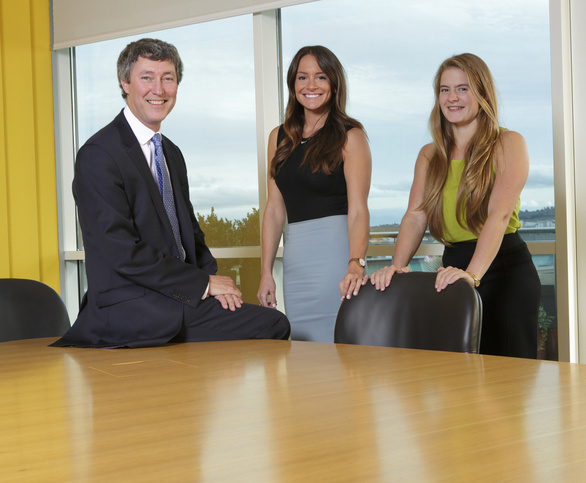 We are delighted to have attracted two such brilliant lawyers with excellent backgrounds into the team. to find out how our award winning corporate team can help your business contact Andrew Davison.